Grand scandal revealed as Ethiopia’s Mega Dam project stalled | Ye Dallas Radio! - የዳላስ ራዲዮ! –Grand scandal from Ethiopia’s mega dam project reveals that nearly six billion birr is misappropriated. METEC is behind it. Ethiopian Grand Renaissance Dam has caused internal and external controversy from the get go in 2011. At home, Ethiopians saw the project initially not as unnecessary but as untimely from the point of view of polarized political environment and chronic good governance issues. Others saw the project as a conducive way to misappropriate resources to the benefit of the then influential and powerful elites who oversaw the project one way or another. Externally, it was feared, at the time, that the project would bring Ethiopia in a collision course with Egypt and politicized Ethiopian analysts thought that the time was not right for confrontation. Activists and analysts believed that Ethiopia is divided due to the policies of the late prime minister Meles Zenawi and that would provide Egypt, in view of past efforts, an opportunity to inject billions of dollars to deepen the division to lead Ethiopia to chaos. In fact, Egypt has been trying diplomatic and other means to sabotage the project as it believed that it would hard Egypt’s share of the water from the Blue Nile over which Ethiopia is building the dam. It took years of diplomatic efforts to convince Egypt that the project will be completed in a way that lower riparian countries (Sudan and Egypt) are not affected. When GERD project was unveiled in 2011, project delivery time frame was given as five years. In terms of funds, it was estimated that the project would cost about 88 billion Ethiopian Birr (about $US 4.5 billion). An investigative journalism documentary by Fana Broadcasting Corporate which was aired yesterday that seven years later the project is no where near completion but has already consumed over 70 billion Ethiopian Birr. The documentary unveiled misappropriation of huge funds by Metals and Engineering Corporation (METEC), Ethiopian government owned enterprise. It was hired to do the electro-mechanical and hydro-steel work aspect of the project at a cost of 25.58 billion Ethiopian Birr, according to Abraham Belay Executive Director of Ethiopian Electric Power, who owns the project on behalf of the Ethiopian government. Salini Construction, an Italian Company, was hired to undertake the civil engineering aspect of the project and has so far completed between 70-75 % of contracted out work, according to the report by Fana, for which it is paid about €1.48 billion. Pay out to Salini is said to be 5 % higher which was incurred due to late payment on the part of Ethiopian Electric Power authority. On the other hand, METEC, has completed only about 25 to 30 percent of contracted out work (and it is verified by the consultancy company- Salini) while it is paid out 65.65 % of the project cost (16.79 billion Ethiopian Birr). And here is where the big scandal comes. METEC which was under the leadership of top TPLF military generals, like Kinfe Dagnaw who was made to retire, has even received full payments for some works that are not even started. The project is stalled because of METEC as Salini Construction must wait for electro-mechanical and hydro-steel work to be completed to carry out work on its turf. The project delivery is already delayed by two years and it remains unclear as to how long it will take to compete the remaining work which is over 70 percent as far as METEC is concerned and about 30 % in the case of Salini Construction. METEC is paid out about 5.8 billion birrs in what appears to be rather a fraudulent payment. And no authority is held responsible for it so far. The project manager was found dead in his car at Meskel Square on July 28,2018. Findings of the investigation is not yet revealed to the public but there is a belief that he was assassinated. Some think that his death is orchestrated by Former TPLF authorities who oversaw METEC. Others think that he is possibly assassinated by a mercenary hired by Egypt. Ethiopians, from within the country and abroad, have been contributing to the dam project in the form of purchasing bonds not just as an investment but also as duty for national cause. Workers have been paying a portion of their income, just like pay as you go pension plan, towards the Grand Renaissance Dam. Suspicion was high regarding the public project as it was delayed despite the government before Abiy Ahmed administration propagated that the project is near completion. News of grand scandal, and Fana has cited important financial and other documents related to it, has shocked the public. Anger is high. 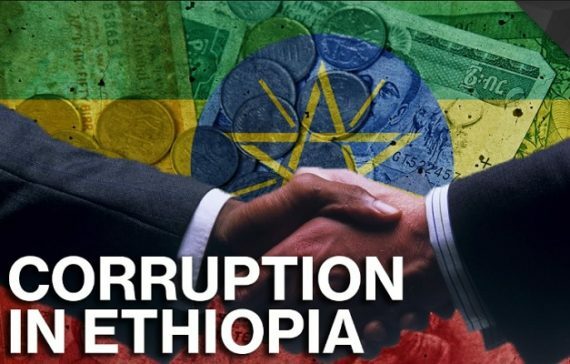 Some activists are already mobilizing Ethiopians to take to the street to demand that those who are responsible for misappropriation or even an outright theft of funds is held accountable. The government of Abiy Ahmed has already ordered the break up of METET into two; one of which is to remain under the military and the rest is to be transferred to a civilian administration. But that is not what Ethiopians want, apparently. Ethiopians rather want full wrath of the law be applied to those who stole public funds from the project in different forms.